I’ve been wanting to make a cucumber yogurt bar for a long time. 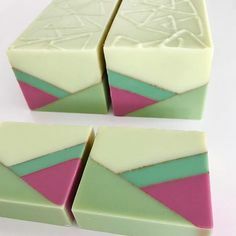 Heidi Corley Barto has a recipe for a soap using a cucumber purée in her book The Natural Soap Chef, and after reading about the testers’ reaction to Anne L. Watson’s Yogurt Parfait soap in Milk Soapmaking, I decided I should try to combine the two. A quick Google search told me I was not the first person to have this idea. After all, it makes sense. Don’t spas give cucumber/yogurt facials, after all? 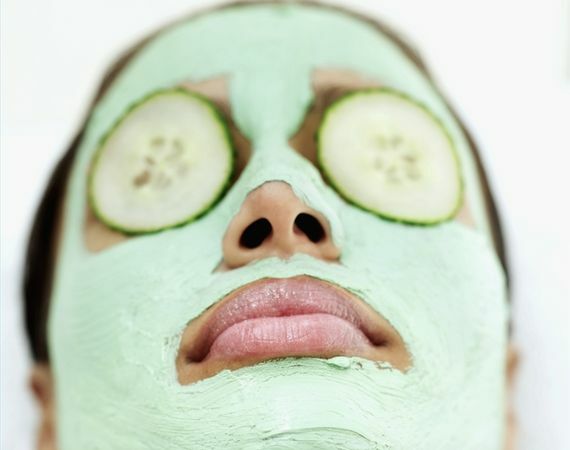 If those two ingredients weren’t wonderful for your face, then the spas wouldn’t be charging the big bucks for facial treatments. First I peeled two small cucumbers and shaved off the seeds with my peeler as well. Barto suggested using English cucumbers because they have fewer seeds, but I either couldn’t find them, or my store didn’t have them, so I just opted for some small pickling cucumbers. 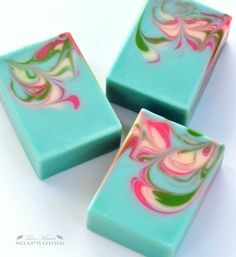 I imagine you could just use one big cucumber, but since it was the first time I made this soap, I wanted to go with smaller cucumbers in case one was enough. After I peeled and deseeded the cucumbers, however, I decided two was probably more like it. I added distilled water to the cucumbers and puréed them in my blender. Barto also suggested not peeling the cucumbers so that the peel added pigment, but I wasn’t too sure about that, so I peeled them. I mixed half cucumber-water purée with half yogurt and froze the mixture in an ice cube tray. 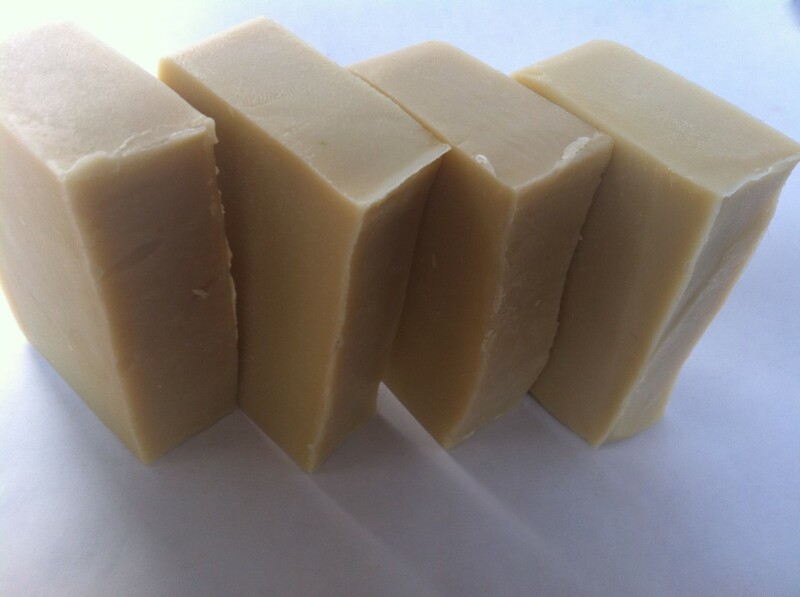 When I was ready to make the soap, I mixed the lye with the frozen cucumber-yogurt cubes and melted my shea butter, coconut oil, and palm oil in a large bowl. Then I added olive oil, avocado oil, and castor oil to the melted hard oils. Once the cucumber-yogurt and lye mixture was 90°, I added it to the oils and stick blended it to a light trace. Then I added a tiny bit of green pigment that didn’t really wind up coming through in the soap, and a very nice cucumber melon fragrance oil from Nature’s Garden, a new favorite vendor that has reasonable prices and a wide variety of products. 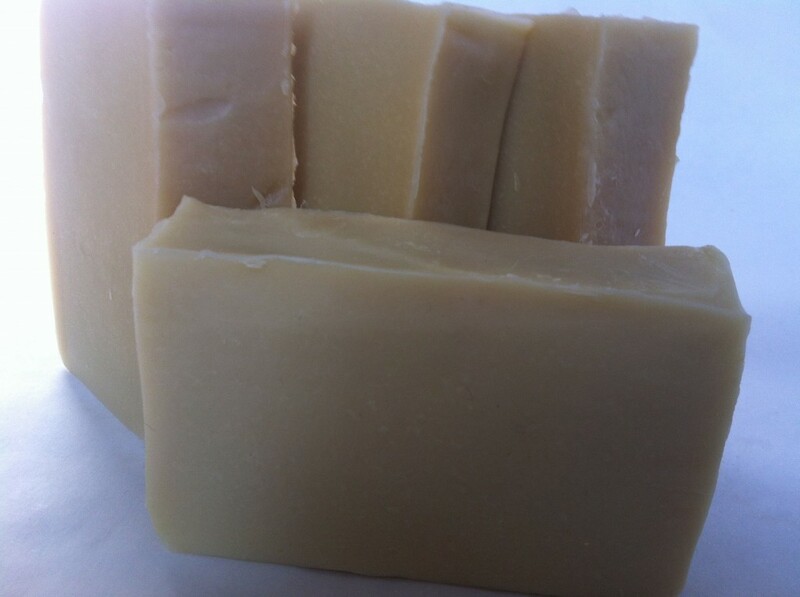 Cucumber Yogurt Soap by Dana Huff is licensed under a Creative Commons Attribution-NonCommercial 3.0 Unported License. Permissions beyond the scope of this license may be available at Suds Life: About.